In the library in the menu "Library" appears a registercard "15". It's not possible to unselect this registercard. 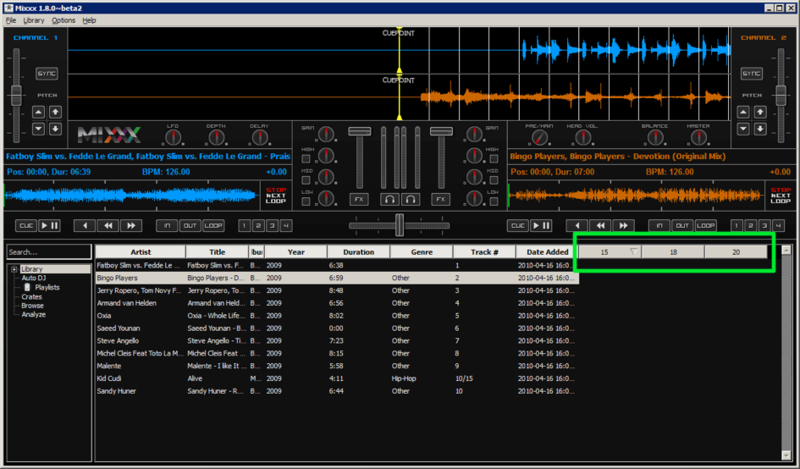 I use Mixxx 1.8.0 beta 2. In the attachment is a screenshot of the problem. 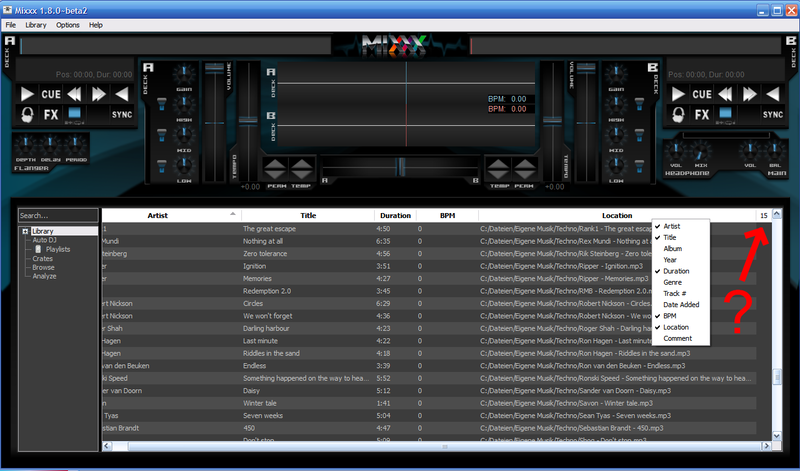 Installed Mixxx 1.8beta2 over beta1. Same problem for here on WinXP 32bit. There are even columns 15,18,20. Seems not related to one special skin. Does not happen on Mac OSX. Jus, could you try to reproduce on the latest 1.8 branch, and could you please delete your mixxxdb.sqlite first? I can't seem to reproduce this. I have no build environment for Windows (only a bare WinXP VM), maybe someone who develop for Windows can jump in. I'm not getting this with 1.8.2 or 1.9bzr. Marking fix released. I tested the above both with and without an existing config/db.